A great opportunity to learn about social media safety and awareness! Good advice from the Weld County Sheriff’s Office Cold weather is here. As a friendly reminder do not leave your car running unattended! A special Valentines Delivery was made to the Police Department today by some KQA students! Thank you for the beautiful artwork!!! Join us for an informational presentation on new trends in adolescent drug use. It’s a great day to celebrate!! #RHSInteract club celebrated our $1,500 donation, coming from Ehrlich Toyota Cares!! We get the offical check this Friday!! Today, Interact turns 56 and we’re celebrating all week long! 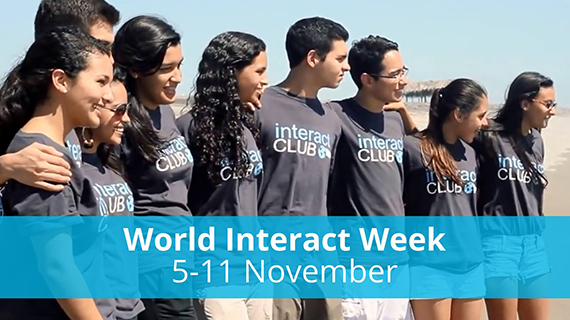 Share your birthday events and projects with #WorldInteractWeek! EHRLICH CARES – OCTOBER WINNERS! – VOTE NOVEMBER NOW! Halloween Family Fun Night was a great success!!! Thank you to all that donated and participated!!! Happy Halloween and be safe!!!! !